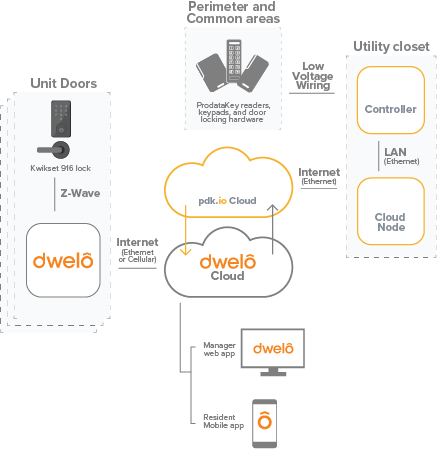 The Dwelo platform currently allows apartment dwellers and managers the ability to control lighting, thermostats, and door locks in the units. With the PDK integration, residents and managers will now be able to control common area access points for entry gates, clubhouses, gyms, and laundry facilities with the same app they use to control and manage their smart apartment. Managers can instantly grant and revoke access to residents and vendors from anywhere via the Dwelo app. No special desktop terminal or visits to the lock are necessary. 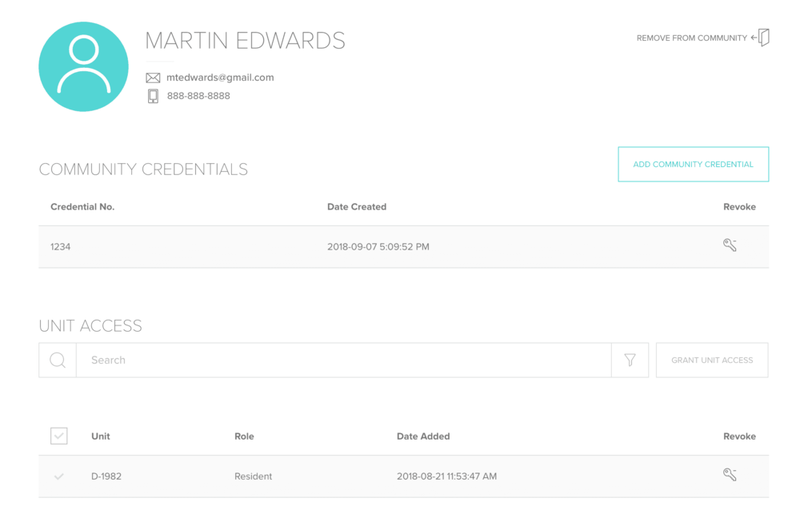 Staff and residents can use the Dwelo app to open doors, which streamlines their access and provides a backup in case they forget their credential. Staff and residents can remotely unlock doors (“buzz” people in) right from the Dwelo app, for easy access to trusted vendors or guest, no convoluted call box required. Managers have access to real-time activity logs in the cloud. No more visiting the lock or downloading a report from the desktop terminal to resolve disputes or identify bad actors. 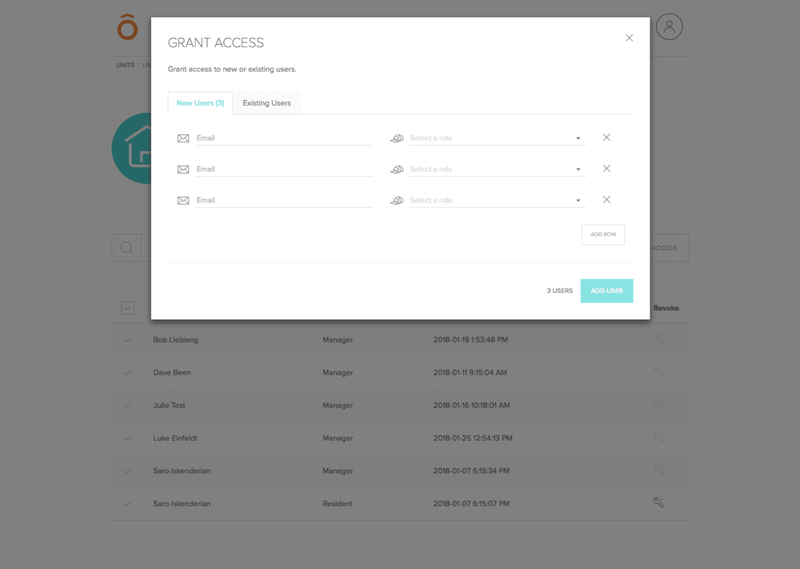 Cloud-to-cloud integration via Dwelo with your property management system keeps your resident rolls in sync.